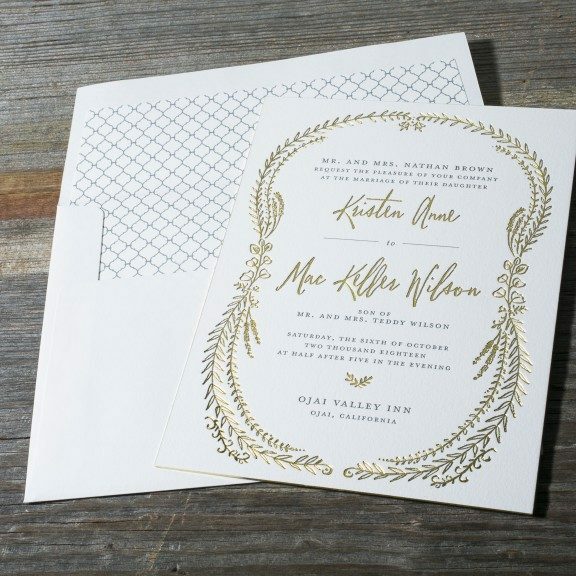 Held on the grounds of a grand estate, Nightingale weddings are fun yet formal. 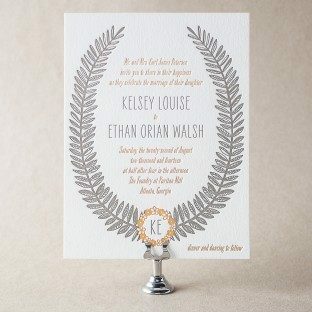 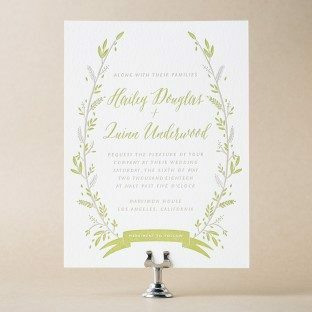 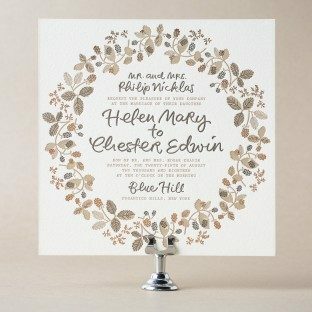 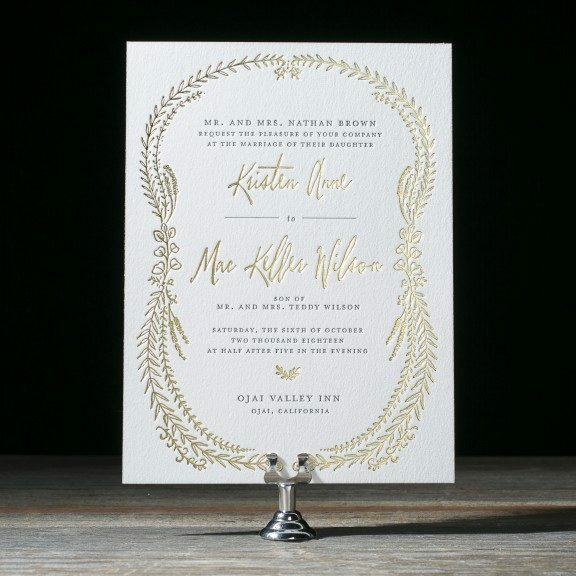 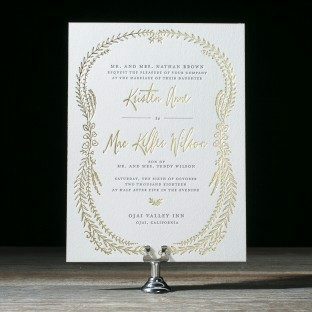 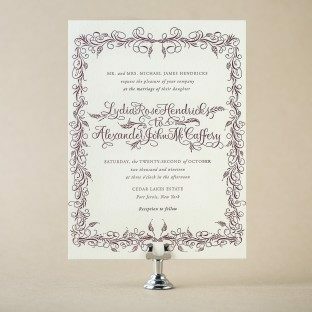 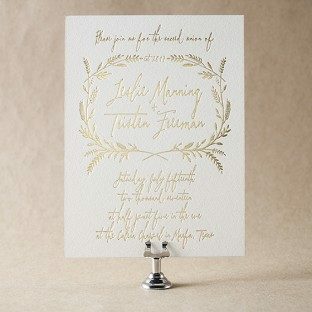 Ideal for a fall wedding overflowing with champagne and twinkle lights, these letterpress wedding invitations by Courtney Jentzen feature a classy color pairing of Gold Shine foil stamping with Charcoal letterpress ink. 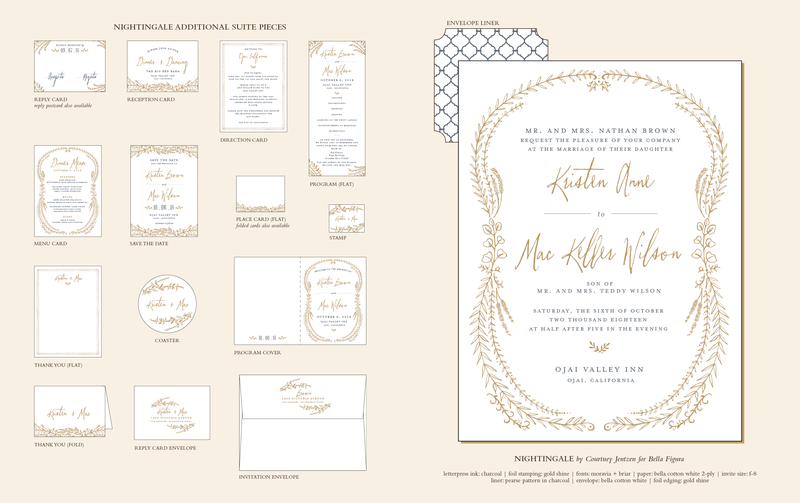 View additional pieces in the Nightingale sample suite.